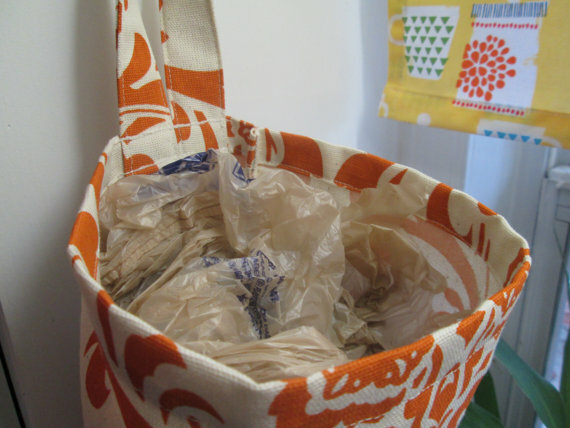 Organizing and storing our reusable grocery plastic bags has always been a problem to me. We always end up storing it everywhere at home. At one point, I tried to collect and place those in another bigger plastic bag underneath the kitchen cabinet, but it turns out to be hard to reach and not easy to find. 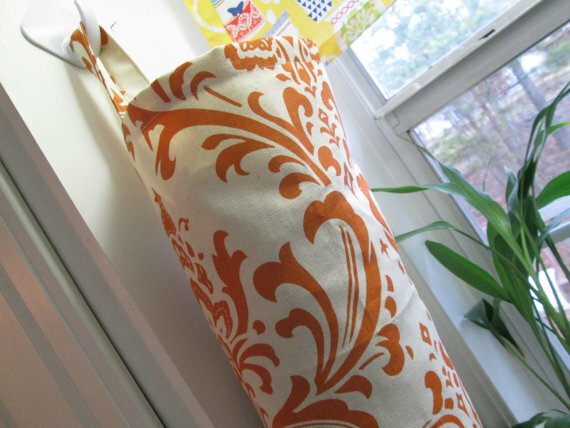 Now, look what I've found on etsy....a cute grocery plastic bag holder that can be hang anywhere in the kitchen. I find it so cute! 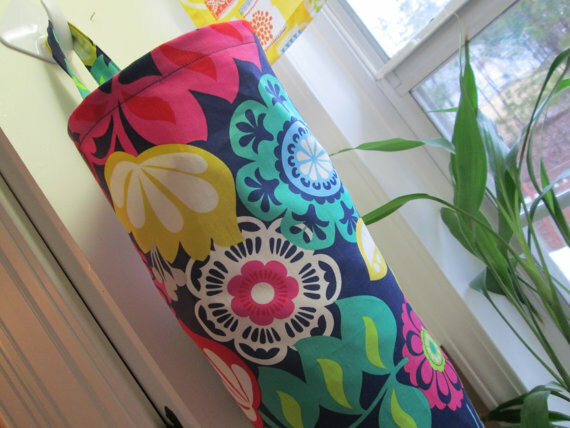 Colorful and functional. Width lying flat- 8 1/2"